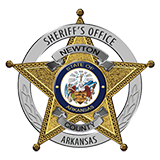 On July 29th, 2015 a Deputy with the Newton County Sheriff’s Office stopped a vehicle south of Jasper for driving left of the center line on Highway 7. Upon further investigation, the Deputy noticed a prescription pill bottle that had been filled the previous day with 120 Oxycodone tablets, but only had nine tablets left in it. Investigators arrived to assist the Deputy and spoke with Harry Rhoades, 72 of Jasper, who admitted he had just traded most of the pills to another individual. It was also discovered that Rhoades was carrying a small handgun. Rhoades was transported to the Newton County Sheriff’s Office where, during an interview, he admitted to trading pills and participating in ongoing narcotics trafficking. Rhoades stated he would take other individuals to various doctors in other parts of Arkansas to fraudulently obtain prescription narcotics. Rhoades would then get approximately half of the prescription as payment for his part of the activity. In turn, Rhoades would trade the pills for other narcotics, sexual favors from area women and other forms of reimbursement. The Newton County Sheriff’s Office had received information of Rhoades trafficking pills in the recent past and a separate investigation was already underway. Rhoades was charged with three counts of Possession of a Schedule II Controlled Substance, Delivery of a Schedule II Controlled Substance, two counts of Possession of Drug Paraphernalia, Simultaneous Possession of Drugs and Firearms, two counts of Possession of a Schedule IV Controlled Substance with Intent to Deliver, Sexual Solicitation, Driving Left of Center and Obstruction of Governmental Operations and booked at the Newton County Jail. Investigators have additional suspects in other parts of the case and the investigation continues. Pertinent parts of the information in the case will be forwarded to the DEA’s Prescription Diversion Division, who has recently made arrests in Arkansas for similar cases of prescription abuse. Future arrests are also expected in Newton County.